Sorry! 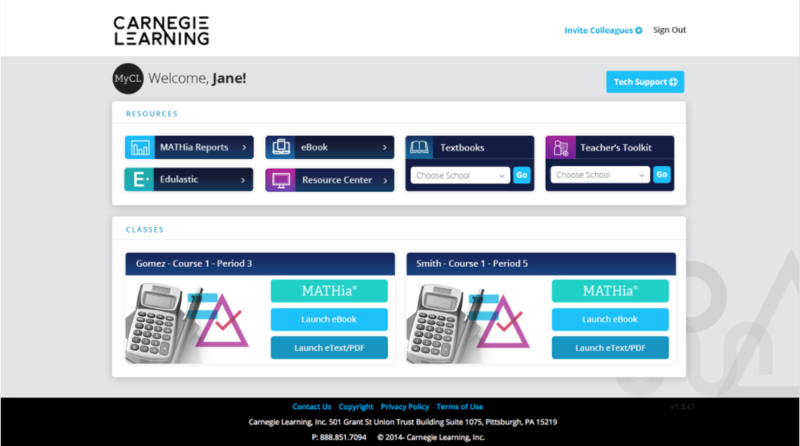 Your operating system is not supported by Carnegie Learning software. Please review the System Requirements page to see what operating systems are supported. Sorry! Your browser is not supported by Carnegie Learning software and you will need to use a different browser to access the software. Please review the System Requirements page to see what browsers are supported. This page is dedicated to supporting administrators, teachers, and students in maintaining their MyCL accounts. This walkthrough shows the steps required for students to set their password in order to sign in to their MyCL account for the first time. You can also show this video to students! Select the Set Your Password button. Start typing the the name of the school, then select it from the list. Enter the username created in Teacher's Toolkit. Enter and confirm a password, and then select Set Password. Students will be returned to the Sign In page to sign in to their MyCL account. This walkthough shows you how to reset a student's password in Teacher's Toolkit, as well as how to reset multiple students' passwords at once. The student will be required to create a new password for their MyCL account the next time that they sign in. We offer an invitation process on MyCL that will allow you to invite your colleagues to set up their account. If you do not have an account and did not receive a invitation, please reach out to your school's Carnegie Learning Implementation Lead and request that they sign in to MyCL and send you an invitation. You can even share this page with them so that they have the step-by-step instructions! Once you activate your MyCL account, you can also invite your colleagues to do the same. Once the activation process has been completed, you and your colleagues will be able to access all of your licensed products and resources (MATHia, Proto, Resource Center, Teacher's Toolkit) from the MyCL portal page. If your schools have coordinated roster synchronization (e.g. CLEVER) with Carnegie Learning, teacher and student MyCL accounts will be automatically created upon the next scheduled synchronizations. Need more Educator MyCL account support? Check out the articles and videos linked below. Do you need to help your colleague(s) sign up for their MyCL account? Read this article to watch a video and learn more. Do you need to update your colleague's account to include supervisor-level access in MATHia? Read this article to watch the video and learn more. Do you need to create student MyCL accounts so that your students can access eTexts on the Resource Center? Read this article to watch the video and learn more. 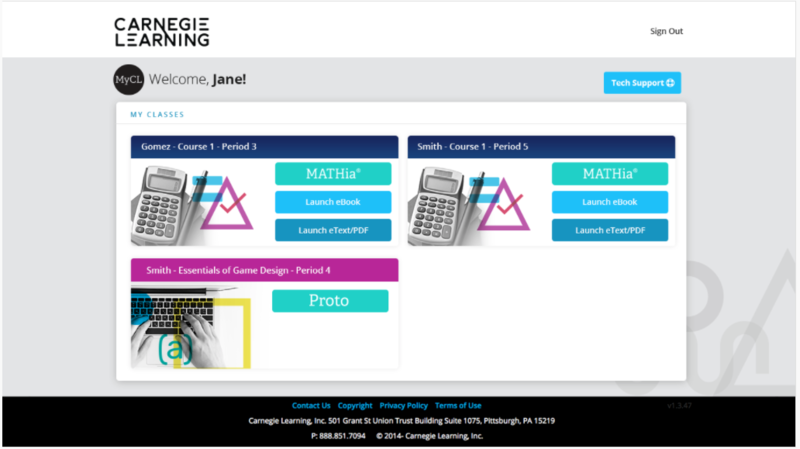 MyCL is your Carnegie Learning home where you can access ALL licensed Carnegie Learning products and resources (MATHia, Proto, Resource Center, Teacher's Toolkit). Once you set your password for your MyCL account, you'll never again have to remember school IDs or different passwords!